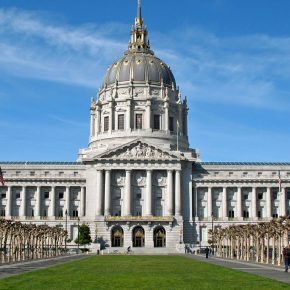 A delegation of human rights and LGBT activists from Amsterdam will visit San Francisco as a part of the two cities’ human rights mission. 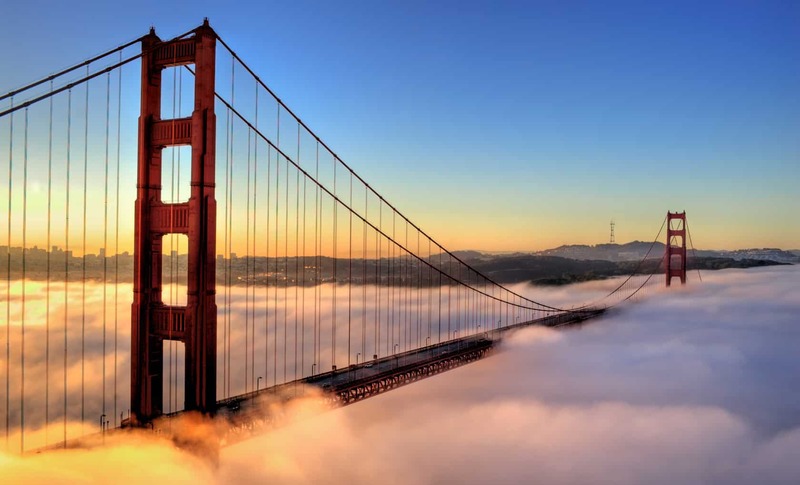 About 14 delegates from Amsterdam’s local government, its tech and business community, and LGBT and HIV/AIDS organizations will visit San Francisco on a humanitarian mission May 21-25. Members of the Netherlands’ consulate in San Francisco will join them. 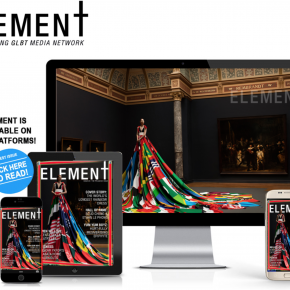 Amsterdam’s delegates are bringing two exhibits: the Amsterdam Rainbow Dress and winners of the Pride Photo Award. Both will be unveiled on Harvey Milk Day, May 22. The dress will be on display at San Francisco City Hall, while the photos will be shown at the San Francisco LGBT Community Center. The Amsterdam Rainbow Dress will be modeled at an event at City Hall at 10:30 a.m. Monday, kicking off the five-day exchange of ideas between the delegates and their San Francisco counterparts. The mission of the newly minted Amsterdam Rainbow Dress Foundation and the traveling dress is “spreading the soul of a city as a safe haven for people who are different and identifying that soul in different locations around the world,” said Jochem Kaan, who created the dress and co-founded the foundation with his friends Arnout van Krimpen, Mattijs van Bergen, and Oeri van Woezik. The dress was unveiled in 2016 at the end of Euro Pride. Transgender model Valentijn de Hingh wore the 52-foot wide dress, which uses Amsterdam’s city flag as the bodice and flags from 75 countries where homosexuality is criminalized for the skirt. When a country institutes protections for LGBT rights its flag is replaced by a rainbow flag in the skirt of the dress, Kaan said. Since last year, one country’s flag has been replaced (Belize). Since then the dress has traveled to Rotterdam Pride in Amsterdam and New York Pride. Before it reaches San Francisco it will appear before the Dutch Ministry of Foreign Affairs with Foreign Minister Bert Koender and 35 ambassadors from the Equal Rights Coalition, said Kaan. The foundation’s goal is to raise “awareness of the current state of affairs of LGBT rights around the world,” especially for LGBT refugees, he said. Theresa Sparks, senior adviser on transgender initiatives for San Francisco Mayor Ed Lee, is expected to speak at the morning event, along with gay District 8 Supervisor Jeff Sheehy; Stuart Milk, the gay nephew of Harvey Milk and co-founder of the Harvey Milk Foundation; and Amsterdam Deputy Mayor Simone Kukenheim. Stuart Milk and Sheehy didn’t respond to requests for comment by press time. The photography award has been held in Amsterdam since 2010. The photos will be on exhibit at the LGBT community center, 1800 Market Street, Monday at 6 p.m.
“I hope that people will see that we are not the only city in the world fighting for these rights,” said Sparks. The upcoming visit is part of an agreement between perhaps the world’s two most progressive cities – Amsterdam and San Francisco – to support each other to promote human rights, particularly LGBT rights, within the respective cities and globally. The cooperative agreement was signed by Lee and Amsterdam Mayor Eberhard van der Laan two years ago, said Sparks, who is taking the lead on coordinating the visit while Lee is out of town on business. The agreement is separate from the sister cities program, Sparks noted. The visit is also being backed largely by technology industry and corporate sponsors with very little investment by the City and County of San Francisco, she added. Kukenheim said that the delegation hopes to learn more about diversity and LGBT inclusion in higher education and the workplace, transgender issues, and HIV/AIDS during its visit. This is the second time an LGBT delegation from Amsterdam has visited San Francisco since the agreement was signed, said Sparks. Sparks participated in a delegation from San Francisco that went to Amsterdam last year for Euro Pride. “Amsterdam is very much similar to us in a lot of ways when it comes to fighting for trans rights, LGB rights, human rights in general,” added Sparks. “As two of the most, if not the two most, progressive cities in the world when it comes to LGBT rights, we need to continue to work together to move the program forward,” said Sparks, noting it’s Lee’s mission to bring together mayors across the United States and to work with Amsterdam’s counterpart group in Europe through Mayors Against LGBT Discrimination, which he founded. The dress and photo will be available for public viewing until May 25. Bisexuals are getting the visibility that they’ve long sought at Tel Aviv Pride with this year’s focus on the “B” in LGBT. Tel Aviv Pride organizers are touting the parade theme, “Bisexual Visibility,” as the “first large-scale Pride parade in the world to ever celebrate the theme bisexuality,” according to a May 9 news release from Tel Aviv Pride. The pride event is the largest one in Asia and the Middle East, the organizers claim, and one of the largest Pride parades in the world. It is also the only Pride parade that is fully sponsored by a municipality, the organizers noted in the release. Pride Week kicks off June 3, with the parade and celebration June 9. The weeklong Pride festival attracts an estimated 200,000 participants. Tel Aviv Pride organizers estimate that of this year’s participants, 35,000 will be visitors from other countries. “Every year tens of thousands of the LGBTQ community from around the world visit Tel Aviv-Yafo. We are proud to have them join us during Pride Week celebrating the diversity and spirit of tolerance that makes Tel Aviv the best gay city in the world,” Yaniv Weizman, city council member of Tel Aviv who is in one of the leaders in charge of LGBTQ affairs, stated in the release. Israel’s bisexual community has come a long way during the past decade. In 2009, gay TV personality Gal Uchovsky declared during a panel discussion at Tel Aviv Pride that there were no bisexuals in Israel. However, the bisexual community does exist in the country. Eight years ago, the bisexual community was small and suffered from a visibility issue. However, a small band of bisexual activists organized a group called Panorama. That group came about after the dissolution of another bisexual group created in 2007, Shiri Eisner, an organizer of Panorama, told the B.A.R. at the time. Eisner was handing out literature and speaking with people who walked by her table in Gan Meir Park outside of the Tel Aviv Municipal LGBT Community Center during Pride that year. “What I’m trying to do is raise awareness, create visibility, and build a community, which is three things that we need and don’t have at the moment,” said Eisner, who participated in the first bisexual Pride party that attracted more than 100 people that year. She was proud of the community and its allies. Many turned out to support the bisexual community at the party. Others were opening their doors to representatives of Israel’s bisexual community to participate on panels. Amsterdam has also put a spotlight on the bisexual community. For at least the past three years, the city has hosted a bisexual conference during the city’s eight-day Pride festivities, Sparks said.